“You name it, she could do it!” This is how Russell Stapleton described his wife’s skills in the practical arts. 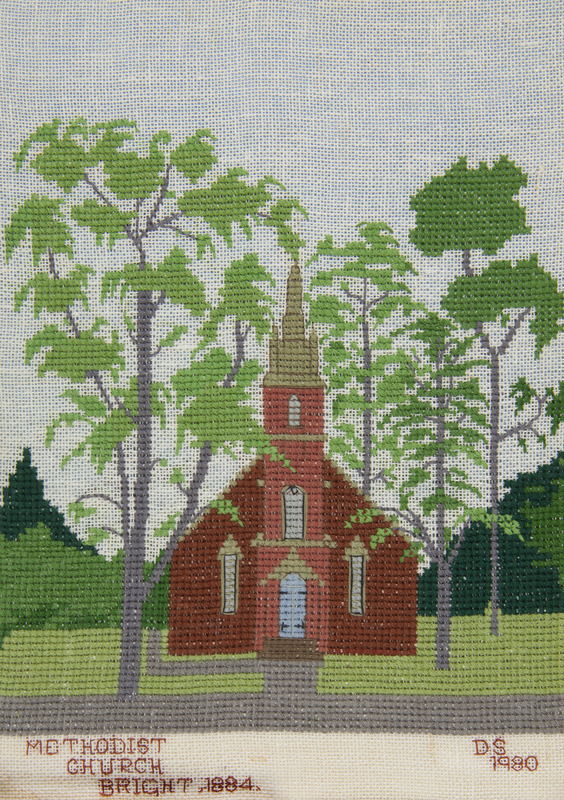 Dee specialised in cross stitch and lace work and the Gallery has three examples of the former, all of them acquired in 1980, and each depicting a scene of Bright. The Stapletons were also staunch supporters of the Gallery, holding fund-raising functions with tours of their beautiful garden at Merrimeet, in Showers Ave.